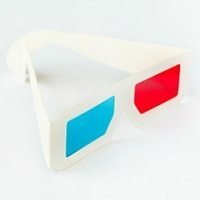 Everything seems to be available in 3-D these days – movies, magazines and even television – so why not DMAIC (Define, Measure, Analyze, Improve, Control)? The idea may sound silly, but many opportunities go unnoticed because practitioners do not have the right tools in place to see them from different perspectives. The traditional DMAIC process starts with defining the problem statement. It sounds simple enough, but how do practitioners know what the problem is, or even if there is one? The pre-DMAIC timeframe – the period when opportunities for improvement are identified – often is loosely defined, yet it is a critical part of process improvement. To operate more effectively during this period, practitioners can implement structured Discover and Decide phases. These phases provide techniques to see opportunities that can then be channeled into the traditional DMAIC format, with an effective DDDMAIC – or “3-DMAIC” – approach. The traditional DMAIC process is a trustworthy blueprint for addressing known problems. However, much occurs before a team is assembled to begin a DMAIC improvement project. The initial Define phase assumes that a problem has surfaced and is ready to be defined, but this problem can emerge in myriad ways, most of which are not captured in a structured approach. Then, a decision must be made about whether the problem is significant enough to move to the DMAIC process. The pre-DMAIC period encompasses the means to discover opportunities and to decide whether or not they are worth pursuing. When asked, “What tools do we use in the Define phase? The Measure phase? Analyze?” and so on, many practitioners are quick to respond about specific tools for each phase. When the same question is asked about the period leading up to the DMAIC process, however, answers vary and come more slowly. Organizations typically have Discover-phase tools in place (metrics/goals, surveys, measurements, etc. ), but most do not formally integrate them as part of their process improvement system. The figure below illustrates how Discover and Decide phases can be integrated with DMAIC. This effort covers processes that either: 1) have undiscovered opportunities or 2) are already controlled, most likely due to a recent improvement project. In general, the majority of an organization’s processes fall under the undiscovered category, which is why it is essential to have tools and techniques in place that can monitor the unknown. Both the Discover and Decide components should serve as a formalized “funnel” to identify and rank promising opportunities, and to eliminate unworthy ones. As shown in the 3-DMAIC map, the opportunities in the flow of operations can be categorized as large, medium or small. There always will be some opportunities that slip through the cracks, which is why more still appear on the right side of the top of the funnel in the operations arrow. Additionally, there will be opportunities that are rejected based on decisions not to move forward with improvement efforts. The utmost effort should be taken to ensure that any process worth improving has established metrics. If a process does not have performance indicators, success is hard to determine. The Discover tools and techniques serve as these measures. The tools can be used to identify opportunities and issues among the operations. An organization should have a standardized schedule and guidance in place to monitor these Discover tools. The data captured should be analyzed against a set of predetermined goals so that anything that stands out can be discussed further. Determine requirements (or processes) that are important or critical to the organization. Formulate indicators (i.e., metrics) that accurately measure the performance of those requirements. Establish goals, and possibly minimum allowances, for each metric. Metrics should align with the organization’s strategies and mission. Be careful not to establish too many metrics and goals, as the importance of each may lose significance. Transparency and communication of the metrics is paramount to ensure that the organization knows exactly how it is performing. In addition, it is important to predetermine ground rules for deciding which metrics and goals will move an opportunity forward in the DMAIC process. For instance, if an important metric is consistently below a goal by a large percentage, it may need to be addressed with its own project. Control charts – These graphs track performance in proximity to a predetermined center line, or desired performance, which lies strictly within the upper and lower control limits (UCL and LCL). A potential issue may be identified if performance is unstable or exceeds the limits. The intent of this tool is to control desired performance, which is why nearly all DMAIC projects institute these charts in the last phase. Population – The target audience should include stakeholders who can provide the data and feedback that is sought. In addition to composition, pay close attention to population size. Method – Convenience is essential to ensure a high response rate, so the process should be as effortless as possible for the survey taker. Take population size and composition, as well as desired data, into consideration when deciding the method of the survey. Questions – Before creating questions, list the desired critical data. Design queries to gather this data, preferably in the form of two or more different questions. This technique reduces the risk of not getting the needed data due to a survey taker misinterpreting a particular question. Typically, a mix of both quantitative data and qualitative data is preferable, as is a selection of demographic information. Data analysis – Use data analysis to search for opportunities proactively as well as reactively, or to dig deeper when opportunities already have surfaced. Before analysis begins, ensure that the collected data is correct. Data mining and modeling are common approaches in this area. Research and studies – Research and studies can be used to investigate internal and external opportunities – best practices, trends and the latest information in the industry or external environment. Brainstorming – Brainstorming sessions are proactive, facilitated conversations around opportunities. Typically informal in nature, brainstorming also can be used as a way to discuss findings from other tools. Plan regularly scheduled sessions to allow stakeholders to discuss opportunities openly. Informal discussion – Informal discussion includes phone conversations, meetings, hallway talks, emails – just about any kind of discourse. The key to leveraging informal discussion is to probe constantly for new opportunities. Listen for phrases like, “We need to improve the way we…” or “We always have a problem with….” Despite its lack of scientific approach, informal conversation can be the source for identifying many opportunities. Once a potential opportunity is identified in the Discover phase, there should be a Decide process to determine if it moves forward. The Decide process should allow efficient analysis of potential opportunities. Most important, the Decide phase should include all stakeholders’ input and feedback. If an opportunity moves forward without the input or support of a stakeholder, the project may be doomed for failure. Cost/resources – How much money (or other resources) will it take to complete the project? People/resources – How many people are needed to support the project from start to finish? What skills must these people possess? Timing – How quickly can the project be completed? Frequency – How often does this problem occur? Achievable – Can the project be successful? Significance – How important is this opportunity to the organization? Risk – How much uncertainty surrounds the project? Are there hazardous consequences if the project is not completed? Return on investment (ROI) – ROI is gain minus cost over time, and can be used to calculate a break-even point. Usually, it is calculated in terms of money, but soft gains also can be taken into account. Waterline tools – Waterline tools are used to determine which projects can be executed based on an organization’s given resources. An organization creates a “waterline” that represents the cut-off for projects that can be undertaken. Any project above the waterline will move forward, and the ones below will sink. This tool requires the organization to have a solid understanding of resources and funding, demands for the project over time, and availability over time. Glenday Sieve (GS) model – GS promotes going after the “biggest bang for the buck,” as it allows a team to target improvement efforts on the highest-volume procedures, processes, units or activities (PPUAs). The GS model hypothesizes that, in most cases, six percent of PPUAs account for 50 percent of volume. For example, if a consumer products company manages 50 different brands, the GS model asserts that only three of those brands account for 50 percent of overall sales. After a problem has surfaced, the company may decide initially to focus improvement efforts on these three brands because, theoretically, they would yield the largest payback. Pareto principle (80/20 rule) – This rule states that approximately 80 percent of problems come from 20 percent of the causes. Like the GS model, when a problem has surfaced, this tool can help practitioners make more informed decisions about where to focus their efforts. If an opportunity makes it to the Define phase, these tools can help further define the problem statement(s) and scope more specifically. Brainstorming – Similar to the way that they are implemented in the Discover phase, brainstorming sessions are proactive and should have a degree of structure. It is common that single brainstorming sessions might include both Discover and Decide discussions. Coverage – It is unlikely that most processes in an organization have undergone an improvement project, and are not under the watchful eye of the Control phase. The Discover phase techniques provide the adequate coverage to monitor the many processes that exist in the organization. Different purposes – Controlling an improved and stable process is different than monitoring many untouched and unstable ones. The Control phase is effective in doing exactly what it is called – control. However, it is difficult to control what is essentially unknown. Widespread probing techniques are essential to find unidentified opportunities. Change – Flexibility is paramount to monitor operations in a changing climate. Control serves to monitor a process or activity that has undergone specific modifications at a point in time. The Discover phase, on the other hand, is designed to deal with continuous changes in performance. It is common that metrics and goals change as the organization sees fit. Surveys can provide an indication of opportunity that exists in any environment – internal or external. Decide techniques, such as prioritization and waterline tools, require the organization to proactively choose which opportunities are the most important at that point in time, thereby addressing any present or future environmental changes. The Discover phase provides the widespread probing that is crucial for finding opportunity. This, in turn, feeds the Decide phase, where Belts prioritize and then feed the traditional DMAIC process. It is essential for practitioners to know all of the tools and techniques at their disposal to identify opportunities, as well as how they fit into the overall process improvement system. Executing these early phases of a 3-DMAIC approach will ensure continued success in transforming indicators into initiatives. I think this article addresses a critical need and that is determining what projects we should work on. Excellent way to put forward such an important thought. This Pre-DMAIC is very important. This article brings forward the perspective “Failing to plan is really planning to Fail”. I agree that these pre-work areas are a significant part of successful LSS deployment. In fact, they are critical to successful LSS efforts. They should not however be considered part of the DMAIC or DMADV processes. DMAIC, DMADV and even PDCA, for that matter, are project level efforts. They are functionally separate from the efforts to clearly identify, categorize, and stack rank potential projects for the Belts. The function of C and E-level steering committees, as well as the advising MBB is to design, formalize, and manage this process, allowing the Belts to focus on tactical efforts. I agree that these areas are often poorly manifested and executed and are critical to the LSS programs success  they do not however belong in the Black Belts or Greenbelts hands. They belong at the appropriate level where it can be assured that all projects selected are in service of the Enterprises goals and objectives. Then they are handed to the belts to execute. Chris, interesting concept, but you’ve made two critical mistakes. First, you’ve made it way too complex. Align data with strategy and pick projects is all that is needed and can be done in any major business unit of a Fortune 50 company in a few weeks with a team of 3 or 4 people. Second, if people know tools, they will know that a Glenday Sieve and Pareto are just different ways of stating the same idea. Stuff like that looses credibility for ideas that are otherwise good. Interesting read. I love to see other people’s takes on improving LSS so I can put the best tools together for me team. Thanks, Chris. Nice job Chris. All too often practioners, particularly early in their journey, get frustrated in the Improve or Control phases of a project because of a lack of “buy in”. As you outline here, success happens before you leave the Define phase. Sadly, most training does not address this adequately. Your strategic approach is a good summary of starting right. Hopefully others take heed from this and work with decision makers to establish this type of front-end funnel instead of just cranking out projects that fail to deliver and build resistance throughout an organization. It saves a lot of time and resources when follow this type of methodology.